Fomalhaut b, also known as Dagon, is a confirmed,  directly imaged  extrasolar object and candidate planet orbiting the A-type main-sequence star Fomalhaut, approximately 25 light-years away in the constellation of Piscis Austrinus. The object was initially announced in 2008 and confirmed as real in 2012 from images taken with the Advanced Camera for Surveys (ACS) on the Hubble Space Telescope and, according to calculations reported in January 2013,   has a 1,700-year,  highly elliptical orbit. It has a periastron of 7.4 billion km (~50 AU) and an apastron of about 44 billion km (~300 AU). As of May 25, 2013 it is 110 AU from its parent star. An A-type main-sequence star or A dwarf star is a main-sequence (hydrogen-burning) star of spectral type A and luminosity class V. These stars have spectra which are defined by strong hydrogen Balmer absorption lines. They have masses from 1.4 to 2.1 times the mass of the Sun and surface temperatures between 7600 and 10,000 K. Bright and nearby examples are Altair, Sirius A, and Vega. A-type stars don't have a convective zone and thus aren't expected to harbor a magnetic dynamo. As a consequence, because they don't have strong stellar winds they lack a means to generate X-ray emission. Dagon or Dagan is an ancient Mesopotamian and ancient Canaanite deity. He appears to have been worshipped as a fertility god in Ebla, Assyria, Ugarit and among the Amorites. The nature of Fomalhaut b was at first unclear. It was thought it could be a conglomeration of rubble from a recent collision between comet-to-asteroid-sized bodies, and not actually a planet. Although this scenario is possible, the likelihood of observing such a collision at the location of Fomalhaut b is extremely low. Instead, Fomalhaut b is plausibly, even probably, a planet less than twice Jupiter's mass that is either enshrouded in a spherical cloud of dust from ongoing planetesimal collisions   or surrounded by a large circumplanetary ring system,  either of which are responsible for scattering the primary star's light and thus making Fomalhaut b visible. Fomalhaut b and three companions around HR 8799, whose discovery was announced simultaneously, were described as the first directly imaged extrasolar planets  (among earlier claims such as e.g. 2M1207 b, GQ Lup b, DH Tau b, AB Pic b, CHXR 73 b, UScoCTIO 108 b, CT Cha b, 1RXS 1609 b) in that their emission was thought to originate at least in part from a planetary atmosphere. However, subsequent studies from the Spitzer Space Telescope  and a reanalysis of the original HST data   instead suggest that Fomalhaut b's light is scattered starlight, not planet thermal emission. HR 8799 is a roughly 30 million-year-old main-sequence star located 129 light-years away from Earth in the constellation of Pegasus. It has roughly 1.5 times the Sun's mass and 4.9 times its luminosity. It is part of a system that also contains a debris disk and at least four massive planets. Those planets, along with Fomalhaut b, were the first extrasolar planets whose orbital motion was confirmed via direct imaging. The star is a Gamma Doradus variable: its luminosity changes because of non-radial pulsations of its surface. The star is also classified as a Lambda Boötis star, which means its surface layers are depleted in iron peak elements. This may be due to the accretion of metal-poor circumstellar gas. It is the only known star which is simultaneously a Gamma Doradus variable, a Lambda Boötis type, and a Vega-like star. 2M1207b is a planetary-mass object orbiting the brown dwarf 2M1207, in the constellation Centaurus, approximately 170 light-years from Earth. It is one of the first candidate exoplanets to be directly observed. It was discovered in April 2004 by the Very Large Telescope (VLT) at the Paranal Observatory in Chile by a team from the European Southern Observatory led by Gaël Chauvin. It is believed to be from 3 to 10 times the mass of Jupiter and may orbit 2M1207 at a distance roughly as far from the brown dwarf as Pluto is from the Sun. GQ Lupi b is a possible extrasolar planet or brown dwarf orbiting the star GQ Lupi. Its discovery was announced in April 2005. Along with 2M1207b, this was one of the first extrasolar planet candidates to be directly imaged. The image was made with the VLT telescope at Paranal Observatory, Chile on June 25, 2004. Paul Kalas is a Greek American astronomer known for his discoveries of debris disks around stars. Kalas led a team of scientists to obtain the first visible-light images of an extrasolar planet with orbital motion around the star Fomalhaut, at a distance of 25 light years from Earth. The planet is referred to as Fomalhaut b. In the discovery paper,  Kalas and collaborators suggested that Fomalhaut b's emission originates from two sources: from circumplanetary dust scattering starlight and from planet thermal emission. Here, the former explains most of the 0.6 µm brightness and planet thermal emission contributes to much of the 0.8 µm brightness. Their non-detections with ground-based infrared data suggested that Fomalhaut b had to be less massive than about 3 Jupiter masses. The revival of the claim that Fomalhaut b is (possibly) a planet after it had been discounted led some to nickname the object a "zombie planet",  although this is a non-technical term used in press material and does not appear in any peer-reviewed manuscript. At the optical wavelengths at which Fomalhaut b is detected, it is only about 2.7×10−10 times as bright as the star and is the faintest (intrinsically) extrasolar object yet imaged. The shape of its spectrum, as determined from measurements obtained at 0.4 to 0.8 µm, appears similar to that of its host star, suggesting that the emission identifying Fomalhaut b is completely due to scattered starlight. Although the initial discovery paper for Fomalhaut b suggested that its optical brightness may be variable due to planetary accretion, later reanalyses of these data fail to find convincing evidence that Fomalhaut b is indeed variable,   thus eliminating evidence for planetary accretion and also for a 'transient' dust cloud. The mass of Fomalhaut b, if a planet, is highly uncertain. Infrared non-detections suggest that Fomalhaut b cannot be more massive than 2 times Jupiter's mass   but a lower limit on the mass depends on uncertain details for the nature of Fomalhaut b, its circumplanetary environment, and the existence of other planetary-mass bodies in the system. Models of Fomalhaut b sculpting the star's debris disk give a mass 0.5 times that of Jupiter. Models for Fomalhaut b assuming it is surrounded by a swarm of planetesimals imply that it could be much lower mass (10–100 times the mass of Earth). If Fomalhaut b is instead one of two shepherding planets that together confine the debris disk into a narrow ring,  it could be anywhere between several times the mass of Mars to slightly more massive than Earth. HD 210277 is a 7th magnitude star in the constellation of Aquarius. It is a yellow dwarf star with a mass around 0.92 times that of our Sun. Since its distance is about 70 light years, it is not visible to the unaided eye. With binoculars it is easily visible. HD 69830 is a yellow dwarf star located approximately 41 light-years away in the constellation of Puppis. In 2005, the Spitzer Space Telescope discovered a narrow ring of warm debris orbiting the star. The debris ring contains substantially more dust than the Solar System's asteroid belt. In 2006, three extrasolar planets with minimum masses comparable to Neptune were confirmed in orbit around the star, located interior to the debris ring. HD 38529 is a binary star approximately 128 light-years away in the constellation of Orion. Epsilon Eridani b or AEgir is a proposed and unconfirmed extrasolar planet approximately 10 light-years away orbiting the star Epsilon Eridani, in the constellation of Eridanus. HD 210277 b is an extrasolar planet orbiting the star HD 210277. It was discovered in September 1998 by the California and Carnegie Planet Search team using the highly successful radial velocity method. The planet is at least 24% more massive than Jupiter. The mean distance of the planet from the star is slightly more than Earth's distance from the Sun. However, the orbit is very eccentric, so at periastron this distance is almost halved, and at apastron it is as distant as Mars is from the Sun. 1RXS J160929.1-210524 is a pre-main-sequence star approximately 456 light-years away in the constellation of Scorpius. HR 8799 b is an extrasolar planet located approximately 129 light-years away in the constellation of Pegasus, orbiting the 6th magnitude Lambda Boötis star HR 8799. It has a mass between 4 and 7 Jupiter masses and a radius from 10 to 30% larger than Jupiter's. It orbits at 68 AU from HR 8799 with an unknown eccentricity and a period of 460 years, and is the outermost known planet in the HR 8799 system. Along with two other planets orbiting HR 8799, the planet was discovered on November 13, 2008 by Marois et al., using the Keck and Gemini observatories in Hawaii. These planets were discovered using the direct imaging technique. Beta Pictoris b (also abbreviated as β Pic b) is an exoplanet orbiting the young debris disk A-type main sequence star Beta Pictoris located approximately 63 light-years (19.4 parsecs, or nearly 5.986214×1014 km) away from Earth in the constellation of Pictor. It has a mass around 13 Jupiter masses and a radius around 46% larger than Jupiter's. It orbits at 9 AU from Beta Pictoris (close to the plane of the debris disk orbiting the star) with a low eccentricity and a period of 20–21 years, and is the only known planet in the Beta Pictoris system. Strategic Explorations of Exoplanets and Disks with Subaru (SEEDS) is a multi-year survey that used the Subaru Telescope on Mauna Kea, Hawaii in an effort to directly image extrasolar planets and protoplanetary/debris disks around several hundred nearby stars. Near-infrared imaging was carried out using the AO188 Adaptive Optics System and HiCIAO high-contrast imaging instrument. The survey is headquartered at National Astronomical Observatory of Japan (NAOJ) and led by Principal Investigator Motohide Tamura. The survey team includes over a hundred members from dozens of institutes around the world. Observations began in late October 2009, and finished in early January 2015. The goals of the survey are to address the following key issues in exoplanet∕disk science: (1) the detection and census of exoplanets in the outer circumstellar regions around stars, (2) the evolution of protoplanetary and debris disks including their morphological diversity, and (3) the link between exoplanets and circumstellar disks. HD 95086 b is a confirmed, directly imaged exoplanet orbiting the young, 17 Myr A-class pre-main-sequence star HD 95086. It is roughly 5 times as massive as Jupiter and orbits 56–61 AU away from the parent star. It was detected at thermal infrared wavelengths (3.8 µm) through direct imaging, using the NACO instrument on the VLT. A debris disk has been detected in this system at submillimeter wavelengths and has been resolved in the far-infrared from data obtained with the Herschel Space Observatory. HD 106906 b is a directly imaged planetary-mass companion and candidate exoplanet orbiting the star HD 106906, in the constellation Crux at about 336 ± 13 light-years (103 ± 4 pc) from Earth. It is estimated to be about eleven times the mass of Jupiter and is located about 738 AU away from its host star. HD 106906 b is rare in science; while its mass estimate is nominally consistent with identifying it as an exoplanet, it appears at a much wider separation from its parent star than thought possible for in-situ formation from a protoplanetary disk. 1 2 3 4 5 6 7 8 9 Kalas, Paul; et al. (2008-11-13). "Optical Images of an Exosolar Planet 25 Light-Years from Earth". Science . 322 (5906): 1345–8. arXiv: 0811.1994 . Bibcode:2008Sci...322.1345K. doi:10.1126/science.1166609. PMID 19008414. 1 2 3 4 5 6 7 Kalas, Paul; Graham, James R.; Fitzgerald, Michael P.; Clampin, Mark (2013). "STIS Coronagraphic Imaging of Fomalhaut: Main Belt Structure and the Orbit of Fomalhaut b". The Astrophysical Journal. 775 (1): article id. 56. arXiv: 1305.2222 . Bibcode:2013ApJ...775...56K. doi:10.1088/0004-637X/775/1/56. 1 2 3 4 5 6 7 8 9 10 11 12 Thayne Currie; et al. "Direct Imaging Confirmation and Characterization of a Dust-Enshrouded Candidate Exoplanet Orbiting Fomalhaut". The Astrophysical Journal Letters . 760: L32. arXiv: 1210.6620 . Bibcode:2012ApJ...760L..32C. doi:10.1088/2041-8205/760/2/L32. ↑ Harrington, J.D. ; Villard, Ray (January 8, 2013). "NASA's Hubble Reveals Rogue Planetary Orbit For Fomalhaut B". 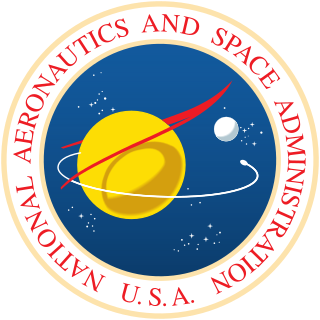 NASA . Retrieved January 9, 2013. ↑ Villard, Ray; Kalas, Paul (January 8, 2013). "Hubble Reveals Rogue Planetary Orbit for Fomalhaut b (News Release Number: STScI-2013-01)". HubbleSite . Retrieved January 28, 2013. ↑ "SCSU planetarium names an exoplanet". St. Cloud Times. Retrieved 2015-12-29. 1 2 3 4 5 6 7 8 Raphael Galicher; Christian Marois; B. Zuckerman; Bruce Macintosh. "Fomalhaut b: Independent Analysis of the Hubble Space Telescope Public Archive Data". The Astrophysical Journal. 769: 42. arXiv: 1210.6745 . Bibcode:2013ApJ...769...42G. doi:10.1088/0004-637X/769/1/42. 1 2 Kennedy, Grant (2011). "Collisional evolution of irregular satellite swarms: detectable dust around Solar system and extrasolar planets". Monthly Notices of the Royal Astronomical Society . 412: 2137–2153. arXiv: 1011.4858 . Bibcode:2011MNRAS.412.2137K. doi:10.1111/j.1365-2966.2010.18041.x. ↑ Seth Borenstein (2008-11-14). "Images captured of 4 planets outside solar system". Associated Press via The Seattle Times. Retrieved 2010-07-05. 1 2 3 Janson, Markus (2012). "Infrared Non-detection of Fomalhaut b -- Implications for the Planet Interpretation". Astrophysical Journal. 747: 116. arXiv: 1201.4388 . Bibcode:2012ApJ...747..116J. doi:10.1088/0004-637x/747/2/116. ↑ Kalas, Paul; Graham, James R.; Clampin, Mark (2005). "A planetary system as the origin of structure in Fomalhaut's dust belt". Nature . 435 (7045): 1067–1070. arXiv: astro-ph/0506574 . Bibcode:2005Natur.435.1067K. doi:10.1038/nature03601. PMID 15973402. ↑ Alexander, Amir (2008-11-14). "Scientists Lay Eyes on Distant Planets". Planetary Society. Archived from the original on 2008-12-25. Retrieved 2008-11-14. ↑ Quillen, Alice C. (2006). "Predictions for a planet just inside Fomalhaut's eccentric ring". Monthly Notices of the Royal Astronomical Society. 372 (1): L14–L18. arXiv: astro-ph/0605372 . Bibcode:2006MNRAS.372L..14Q. doi:10.1111/j.1745-3933.2006.00216.x. 1 2 Lewis Smith (2008-11-13). "First pictures taken of planet outside the solar system: Fomalhaut b". The Times . London. Retrieved 2008-11-14. ↑ Nemiroff, R.; Bonnell, J., eds. (14 November 2008). "Fomalhaut b". Astronomy Picture of the Day . NASA . Retrieved 2008-11-14. 1 2 Boley, Aaron (2012). "Constraining the Planetary System of Fomalhaut Using High-resolution ALMA Observations". Astrophysical Journal. 750: L21. arXiv: 1204.0007 . Bibcode:2012ApJ...750L..21B. doi:10.1088/2041-8205/750/1/L21. ↑ "ALMA Reveals Workings of Nearby Planetary System" . Retrieved 2012-04-18. ↑ Lisa Grossman (21 September 2011). "New doubts about 'poster child' of exoplanets". New Scientist. Reed Business Information Ltd. Retrieved 2013-12-07. ↑ Yudhijit Bhattacharjee (3 February 2012). "Celebrated Exoplanet Vanishes in a Cloud of Dust-Or Maybe Not". Science. 335 (6068): 515. Bibcode:2012Sci...335..515B. doi:10.1126/science.335.6068.515. ↑ "New Study Brings a Doubted Exoplanet 'Back from the Dead'". NASA. Retrieved 2012-10-25. ↑ "Fomalhaut b: the first directly observed exoplanet". Science Centric. Archived from the original on 2009-01-10. Retrieved 2008-11-14. ↑ Mamajek, Eric (2012). "On the Age and Binarity of Fomalhaut". Astrophysical Journal Letters. 754: L20. arXiv: 1206.6353 . Bibcode:2012ApJ...754L..20M. doi:10.1088/2041-8205/754/2/L20. ↑ Matthew A. Kenworthy & Tiffany Meshkat (2012). "Coronagraphic Observations of Fomalhaut at Solar System Scales". Astrophysical Journal. 764: 7. arXiv: 1212.1459 . Bibcode:2013ApJ...764....7K. doi:10.1088/0004-637X/764/1/7. ↑ Thayne Currie; et al. (2013). "A Deep Keck/NIRC2 Search for Thermal Emission from Planetary Companions Orbiting Fomalhaut". Astrophysical Journal Letters. 777: L6. arXiv: 1309.0813 . Bibcode:2013ApJ...777L...6C. doi:10.1088/2041-8205/777/1/L6. ↑ Lambrechts, M. & Johansen, A. (2012). "Rapid growth of gas-giant cores by pebble accretion". Astronomy & Astrophysics . 544 (A32): 13f. arXiv: 1205.3030 . Bibcode:2012A&A...544A..32L. doi:10.1051/0004-6361/201219127.